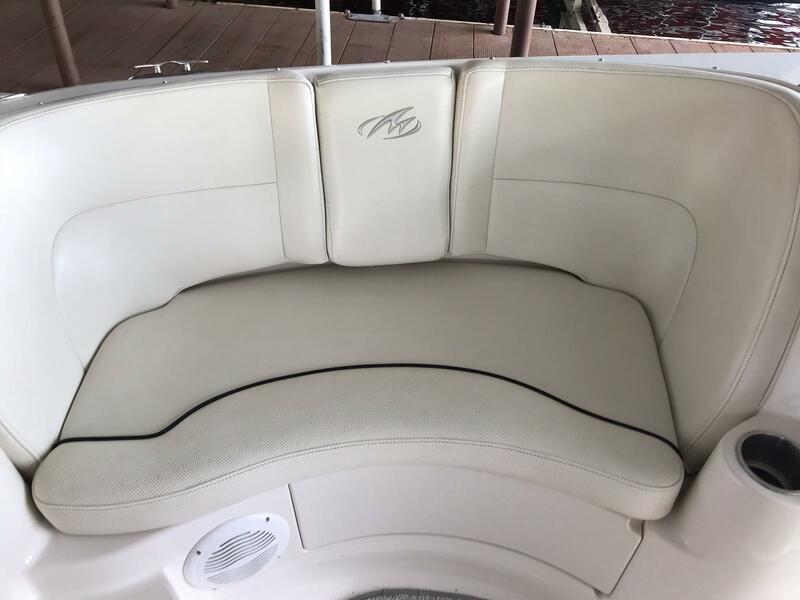 This pretty little bow rider is in great shape and waiting for the perfect family to continue loving and caring for her. 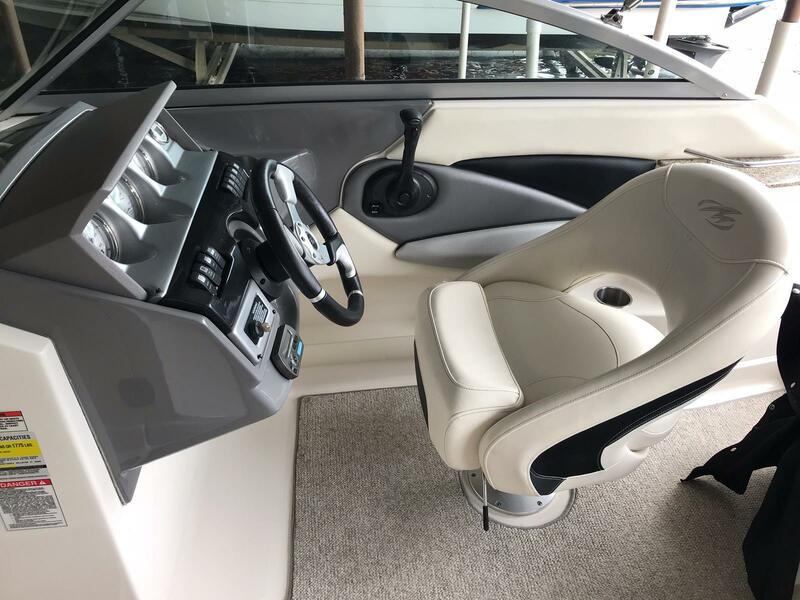 She has a 5.0 mpi Mercruiser 260 HP motor with 163.1 hours. 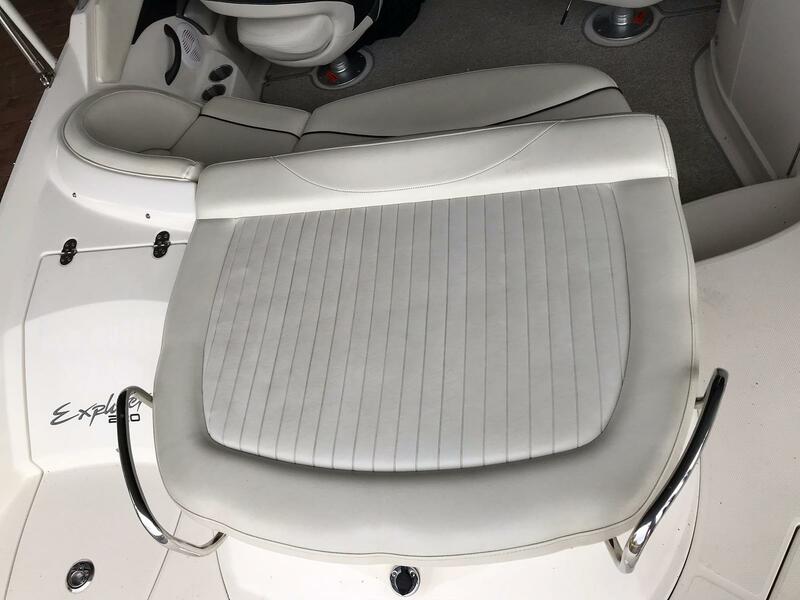 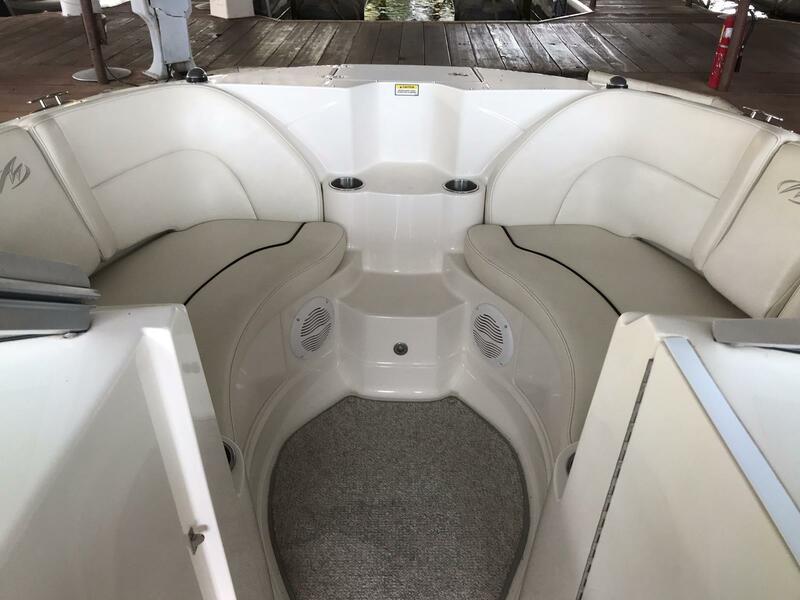 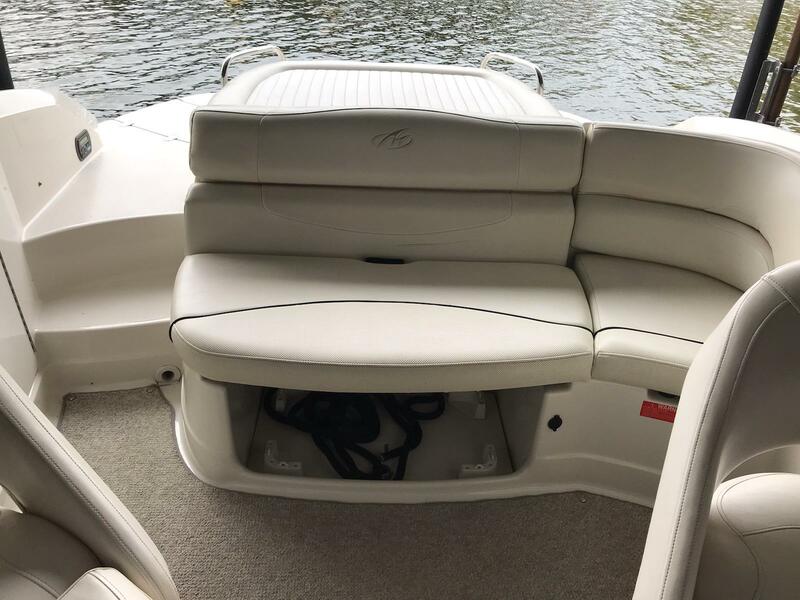 She features a large rear sun pad, as well as swim platform, bimini top, snap-in carpet, depth finder, docking lights, porti-potti, Kenwood AM/FM single disc player, satellite radio options with remote and transom controls. 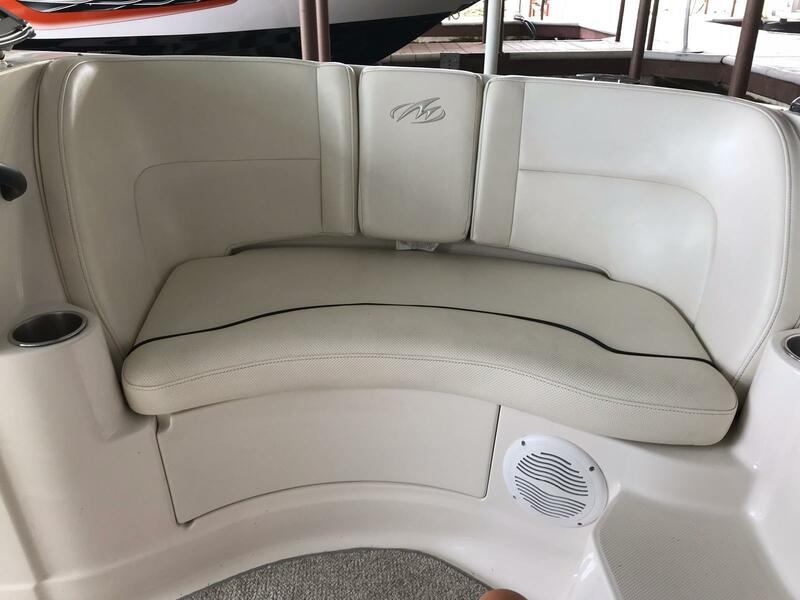 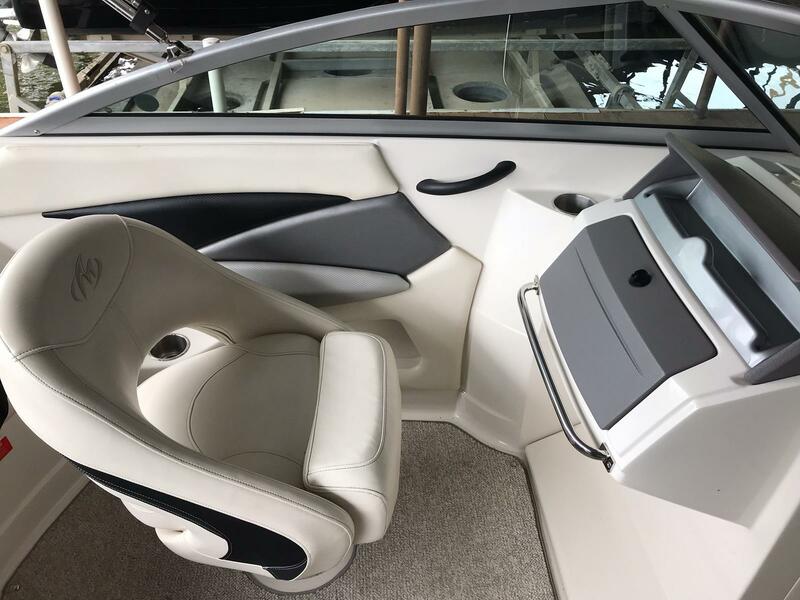 Call Jerry Cookson at 918-691-8823 or 918-435-8250 for more information or to make an appointment to take a test ride in this great boating option.